Jackson Continues to Talk a Big Game – Can He Deliver? He’s been saying it over and over again, but new Raiders coach Hue Jackson is still ultra-confident that the Raiders are going to have a great season in 2011. “This is going to be exciting football season,” Jackson said. “I believe we’ll have a full football season with all regular-season games played, all preseason games played and training camp starting on time. That would be a shame for a team that played some of their best football in a long time last season under Tom Cable. 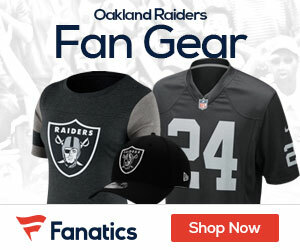 Considering the club hasn’t had a winning season since 2002 and have had six coaches, Raider fans have been more than patient while the team has been plodding along. well….i see that we have a hard & tough season ahead of us. if we keep #21 things might look better.